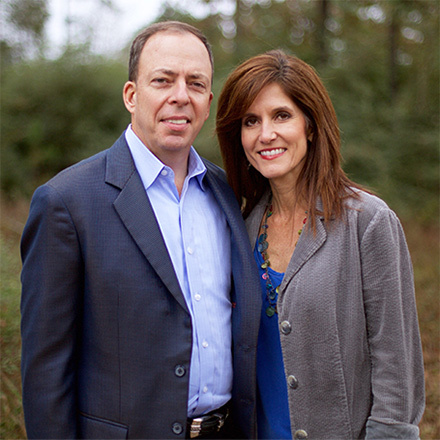 We have been residents in The Woodlands, Texas since 1992. This is our home; where we have worked, volunteered, attended church, and raised our three children. We consider this community to be an extended part of our family. Health, wellness and fitness have always been a passion of ours. We make it a priority to exercise and eat right. We enjoy sharing our values with family and those around us. In dealing with illness, we prefer a natural and holistic approach, and avoid unnecessary medications. When we learned of dry salt therapy and its natural, drug-free approach to helping relieve symptoms of respiratory and skin conditions, we knew we had to bring this to our community. Our efforts to help our daughter overcome her severe allergy symptoms, led to a desire to help others experience the same relief. We have talked to so many people who say they have been given a new healthy freedom by routinely taking dry salt therapy sessions. In our testimonial section, you will read what people are saying about this proven therapy. While it is not a cure, we have heard over and over about people on a salt therapy regimen who haven’t been sick in years, or who have been able to get off of certain medications. We are thrilled to share this wonderful treatment with you. 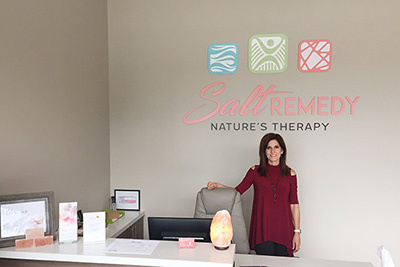 We are excited to be the first dry salt therapy room in the north Houston area and we look forward to introducing you to this rejuvenating therapy. You are sure to experience relief from the symptoms you have from various respiratory and skin issues. Don’t forget, dry salt therapy is also good for general wellness. We hope to see you soon at Salt Remedy! Our daughter, Adrienne, who is married and has a career of her own, has suffered with allergies since she was an infant. For the past 24 years, she has dealt with sneezing, shortness of breath, puffy eyes, and debilitating headaches. The only way she can fight these symptoms is to remain inside in a dark room with the lights out, a cold compress on her face, and a case of tissues by her bed. As a child, that meant school absences and having to sit out of sports team practices and games for as long as two weeks at a time. As an adult, this has continued, meaning she misses work. Not only is she physically tired, but she is emotionally drained. The first time Adrienne was seen for her allergies, she was only 6 weeks old. Her childhood was spent trying out every allergy medicine and shots available. She has endured many needle pricks, as doctors have tested and retested her for allergies. At times, the doctors have given us the news that some of her allergies were cured, but unfortunately others have developed. In February 2016, while on a trip to the Dead Sea in Israel, my sister told me about her friend who had experienced a lot of relief for asthma and allergy symptoms with dry salt therapy. In my excitement about a possible remedy for Adrienne, I did my research and realized that she needed to try this. However, the closest salt therapy room we could find was over 200 miles away. That is when the idea for Salt Remedy was born. Adrienne is receiving treatments and is excited that dry salt therapy is helping relieve her allergy symptoms. She also looks forward to others experiencing relief from all types of respiratory and skin issues.